Late one summer night, Elizabeth Sanderson receives the devastating news that every mother fears: Her 13-year-old son, Tommy, has vanished without a trace in the woods of a local park. The search isn't yielding any answers, and Elizabeth and her young daughter, Kate, struggle to comprehend Tommy's disappearance. They feel helpless and alone, and their sorrow is compounded by anger and frustration: The local and state police have uncovered no leads. When Cora and her little sister, Mimi, are sent to stay with their great-aunt in the isolated village of Bryers Guerdon, they receive a less than warm welcome and are desperate to go back to London. 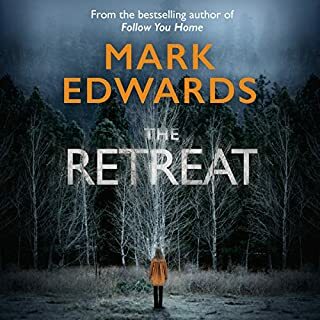 But Auntie Ida’s life was devastated the last time two young girls were at Guerdon Hall, and now her nieces’ arrival has reawakened an evil that has lain in wait for years. A haunting voice in an empty room; a strange, scarred man lurking in the graveyard; mysterious words scrawled on the walls of the abandoned church ... all point to a horrifying truth that has held Bryers Guerdon in its dark grip for centuries, a truth that Cora, along with Roger and Peter, two young village boys, must uncover - before it’s too late for Mimi. 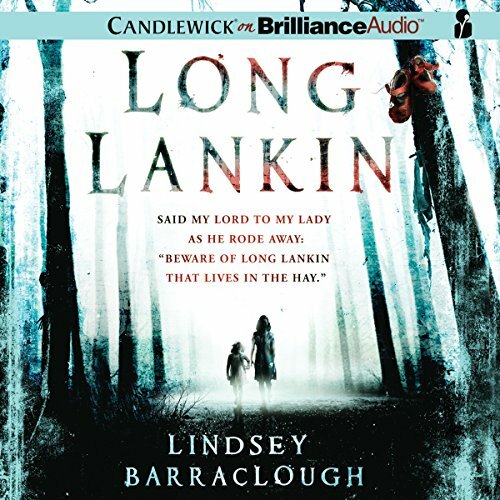 A compelling, atmospheric novel inspired by a haunting folk song about murder, witchcraft, and revenge, Long Lankin is a truly stunning debut from an exciting new writer. ©2012 Lindsey Barraclough (P)2012 Brilliance Audio, Inc. This pulse-pounding listen set in Britain during the 1950's reflects an era when the war had just ended and poverty was a common. Electricity was scare, and so were methods of communication. Bryers-Guerdon is a small, isolated, gloomy town surrounded by acres of countryside and foreboding marshland. Four children go from trespassing and exploring an old forsaken church and its graveyard to stumbling upon a centuries-old mystery, dark kept secrets, a family curse and an ancient terror laying in wait. First of all, let me say that Long Lankin is now among my favourite horror novels, earning its place with the scariest of the scary. I loved the premise of centuries-old folklore based on harrowing truths with a malevolent entity at its core. In terms of delivery this story is meant to be more of a "follow the breadcrumbs" kind of tale, centred on unravelling an eerie puzzle rather than the action-packed, fast-paced, kind. 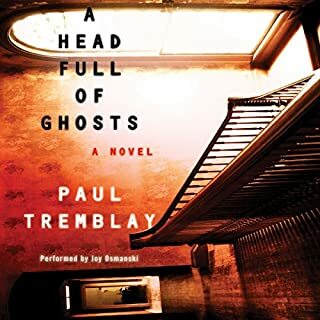 While some might consider this type of horror story "slow-paced" I found it to be just right in terms of building suspense and balancing it with just the right amount of backstory, creep factor and character development. This is not to say that there wasn't any action or that it was boring in any way because that certainly wasn't my experience. I found myself completely immersed in the story, zipping through several chapters all in one sitting. I caught myself looking for reasons to abandon my daily routines in favour of another listen (it was THAT good!). If a story is able to make me "forget" its just that, then the author has done their job in my opinion. I also didn't mind the multiple POV's of different characters narrating because it didn't detract from the action of the story, kept with the pace and actually enhanced the plot. Regarded through children's eyes, Barraclough's spooky scenery introduces a world where the lines of reality are blurred by terrifying apparitions and the most horrifying sounds (my favourite). Her imagery delivers the very best of a rural, post WWII setting; rich in atmosphere with exquisite detail on everything from impoverished children's attire to abandoned war bunkers. Although descriptive, these details do not hinder the progression of events as they are not without purpose. Rather, these details lend authenticity to the more frightening imagery such as: old, decrepit buildings, secret passages, forbidden places and eerie latin messages. 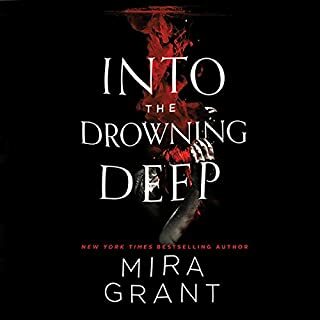 Her writing is some of the best I've ever had the pleasure of reading/hearing when it comes to setting in a horror novel. Barraclough's literary talent is matched perfectly with Flosnik's excellent narration, offering multiple point-of-views, and incredible voice and tone variations resulting in unforgettable characters. 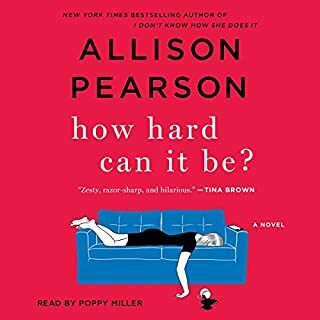 Although multiple POV's can often leave the reader/listener feeling confused, Barraclough controls her narrative with authority using careful dialog and pacing. The way in which she switches characters offers not only perspective but also the occasional welcome respite from tension. This is complimented perfectly by Flosnik's performance as each character is given their own speech pattern and vocabulary, adding authenticity and depth to the characters. Flosnik's performance was absolutely incredible. FLAW: My one and only complaint is the ending. 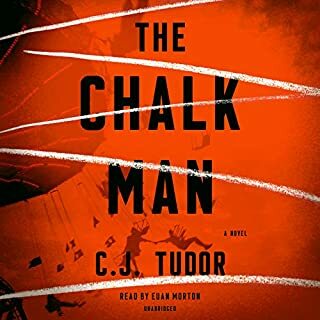 Although well written and thorough, I felt it was predictable and didn't culminate to match the level of sophistication given to the rest of the story. It wasn't horrible by any means, but it left something to be desired. What does Anne Flosnik bring to the story that you wouldn?? ?t experience if you just read the book? I thought she differentiated between the characters well with slight changes in tone and accent, so even if I missed the name at a perspective switch due to inattention, I always knew who was speaking. And she also dramatized it well, ratcheting up the tension so I really empathized with the kids' fear without feeling it was over dramatic. I spent at least the last hour and fortyfive minutes of the book all but wringing my hands with terror and suspense. Whew! Well-crafted story, if a bit of a slow starter. Very atmospheric, the characters felt real, and I think the mystery and suspense were well-paced. The slow build of the fear and the reveal of what was happening were satisfying and I thought it paid off at the end. This book has really pulled me in, I keep looking for reasons to go driving by myself so I can listen to more (I am almost done and I don't really want that either). While listed as a teen novel, I found it to be very well written with engaging characters. Alike in style to "Miss Peregrines School for Peculiar Children", but a bit darker or creepier. The narration is excellent. Anne Flosnik does a very good job of the voices of each character and, because the author switches between the main characters, the individual voices make the book very easy to follow.